Analysts say 60 percent of them lost money in 2013. 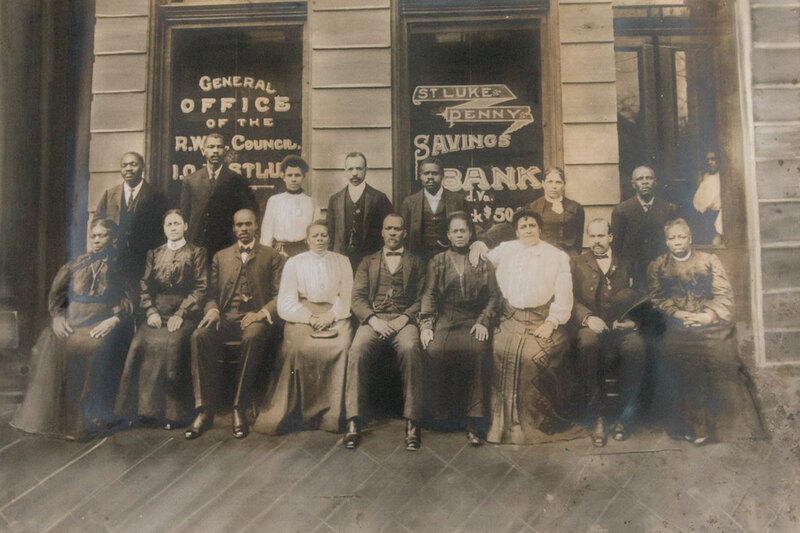 Capital Savings Bank opened shop in Washington in 1888, making it the nation’s first black-owned bank at a time when the mere notion of offering financial services to the African-American community was a novel idea. Now black-run banks are in a fight for survival, even though many advocates argue that many African-Americans remain starved for banking services. On November 2, 1903, the St. Luke Penny Savings Bank opened for business at the St. Luke Headquarters Building at 900 St. James Street. At the end of the day, the bank had 280 deposits, totaling over $8,000, and sold $1,247.00 worth of stock, bringing the total to $9,340.44. While Mrs. Walker had originally hoped for deposits exceeding $75,000, she was pleased with the first day’s success but recognized the hard work ahead to find success and security for the St. Luke Penny Savings Bank. During its long history, between 1903 to 1929, the St. Luke Penny Savings Bank would have a direct impact on the black community in Richmond. It issued more than 600 mortgages to black families, allowing many to realize the dream of home ownership. It provided employment for African Americans, giving some a chance to leave the menial, labor intensive jobs available in the white community. More than anything, the St. Luke Penny Savings Bank was a source of pride in the black community. The bank served as a reminder of the lasting and beneficial impact that one woman’s dream and perseverance can have on an entire community. The Federal Deposit Insurance Corp. counted 25 black-owned banks remaining in the country last year, down from 48 in 2001. That decrease came as the overall number of minority-owned banks increased slightly, going from 164 to 174. In addition, the majority of black-owned banks that remain open are on shaky ground and struggling to hold on in the face of the economic devastation that has ravaged many of their customers. Analysts say 60 percent of black-run banks lost money in 2013. “I would venture to say that (the vast majority of black banks) are in varying degrees of trouble,” said Darrell Jackson, chief executive and president of Chicago’s Seaway Bank, a black-owned bank celebrating its 50th anniversary.